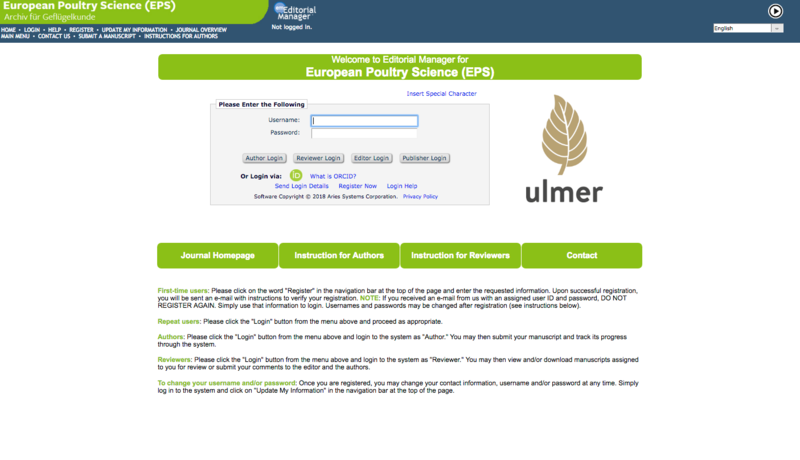 European Medical Journal (EMJ) and European Poultry Science (EPS) recently adopted Editorial Manager to manage submission and peer review workflow. Other new launches this spring include BJR Open and Journal of Zhejiang University SCIENCE A.
Aries staff visited the PLOS offices to renew the PLOS agreement for Editorial Manager. 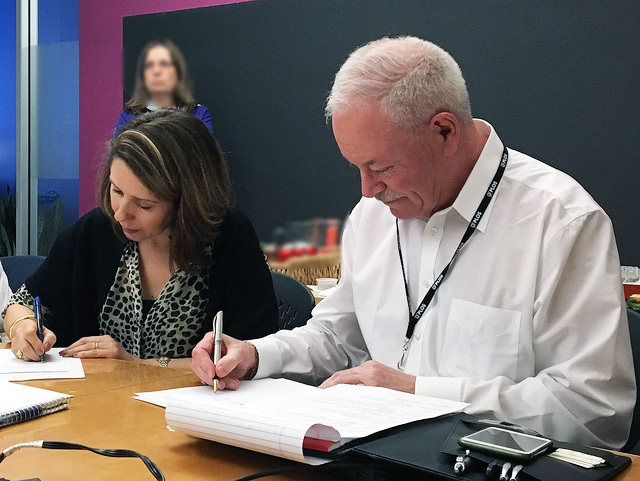 Aries President and CEO Lyndon Holmes and PLOS CEO Alison Mudditt signed a renewed agreement following an active discussion about editorial and production needs. Jennifer Fleet, previously Director of Strategic Client Solutions, has been appointed Chief Operating Officer of Aries Systems Corporation. 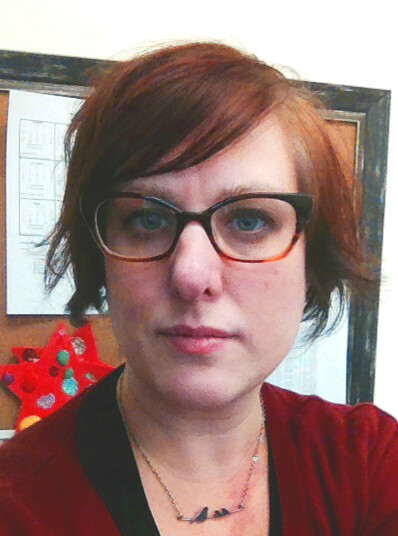 Jennifer started with Aries in 2005 as Director of Client Services and has since led client services teams in the US and Europe, growing her position to include many cross-departmental initiatives. Countdown to EMUG 2018: Only a few weeks left to register! This Could Be the Last Aries Newsletter You Receive! 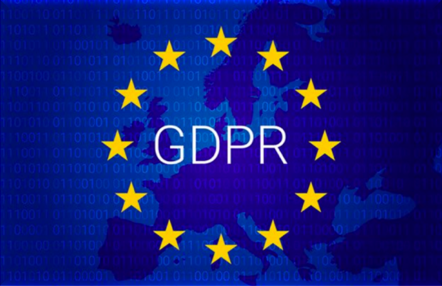 The General Data Protection Regulation (GDPR) went into effect on May 25, 2018. This new regulation introduces changes to the law regarding the processing of personal information. Posters from the recent Council of Science Editors Annual Meeting focused on topics relevant to users of Editorial Manager. 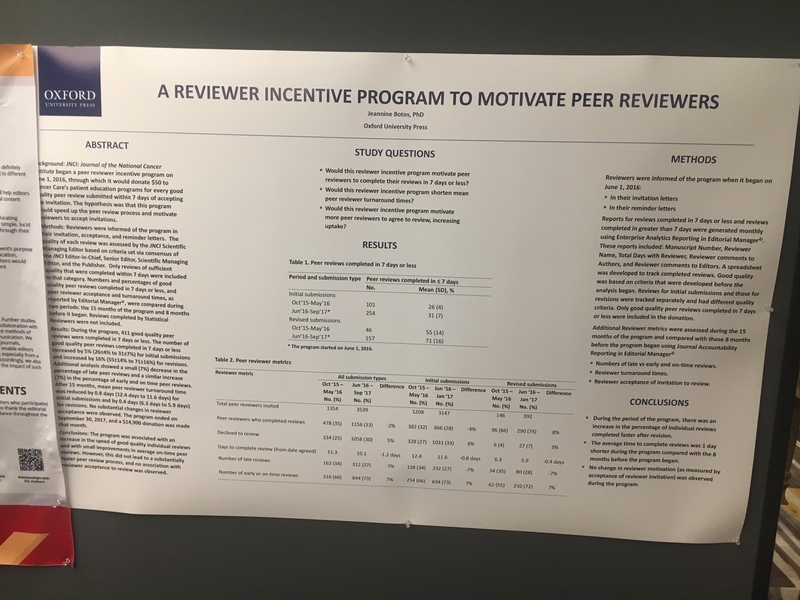 A Reviewer Incentive Program to Motivate Peer Reviewers by Jeannine Botos of Oxford University Press examined incentivizing Reviewers by donating $50 to charity for every high-quality review completed on time. Identity Verification of Author Suggested Reviewers by Holly Koppel and Kelly Anderson of the American Society of Civil Engineers took a close look at the process of asking authors to suggest Reviewers. Read more about the posters. The National Information Standards Organization (NISO) recently approved a new project to facilitate the Manuscript Exchange Common Approach (MECA). MECA aims to make manuscript transfer between submission systems and preprint servers easier. NISO efforts will focus on creating an open protocol for supporting manuscript transfer among systems. Read more. Learn more about existing transfer options within Editorial Manager, including transfer from preprint servers like bioRxiv. 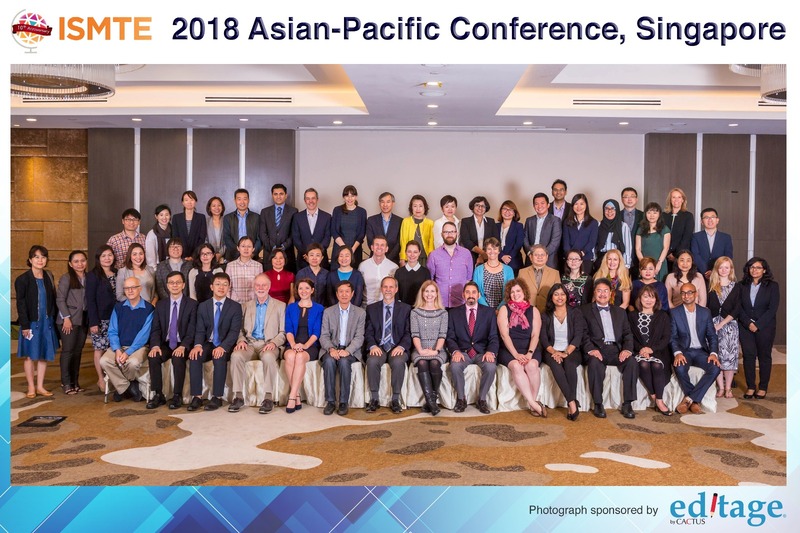 Aries staff attended the ISMTE Asian-Pacific conference in Singapore in March. Read this recap of the event. Recognizing and acknowledging Reviewer activity is key to maintaining talent and improving scholarly research. 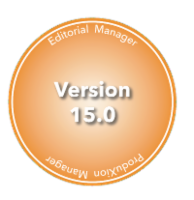 Available in version 15.0, ORCID Reviewer Recognition provides a way for journals to conveniently recognize Reviewer activity in a researcher’s ORCID record. See the answers to frequently asked questions about ORCID Reviewer Recognition. Plus, watch the video to see this functionality in action. Journals need ways to improve cost-effective statistical analysis of manuscripts before they are published. StatReviewer,a new decision support tool available in Editorial Manager 15.0, automatically checks submitted manuscripts for statistical accuracy, content, and style and returns a detailed report for authorized users within minutes–saving staff time spent on routine checks. Watch the video to learn more. Plus, view this helpful FAQ.